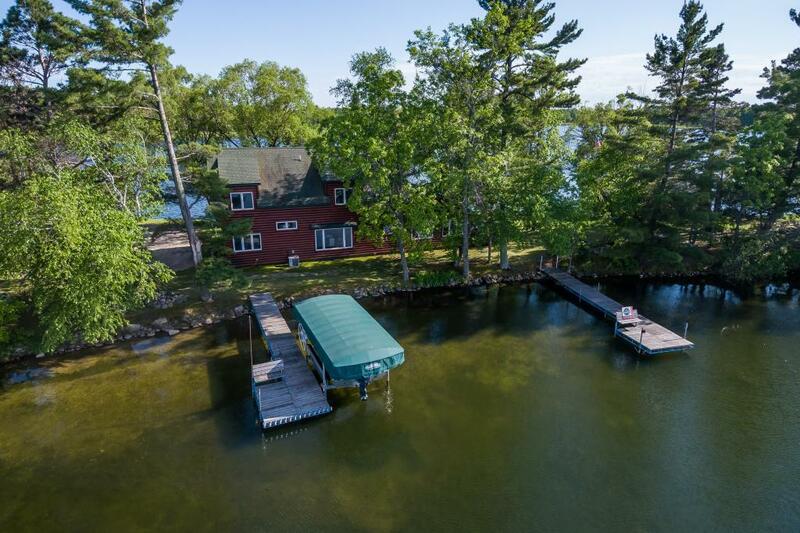 Unique Birch Lake property featuring a total of nearly 900ft of shoreline! Nestled on a private penninsula enjoy lake views from virtually every window in your home! This immaculate home features 3bdr, 3 bths along with a custom stone tile master bath. Beautiful deck along with covered porch area to enjoy lake living! Brand new Gas Fireplace in the family room. Bonus bunkhouse w/garage with 1/2 bth for guests! This is a must see one of a kind property!